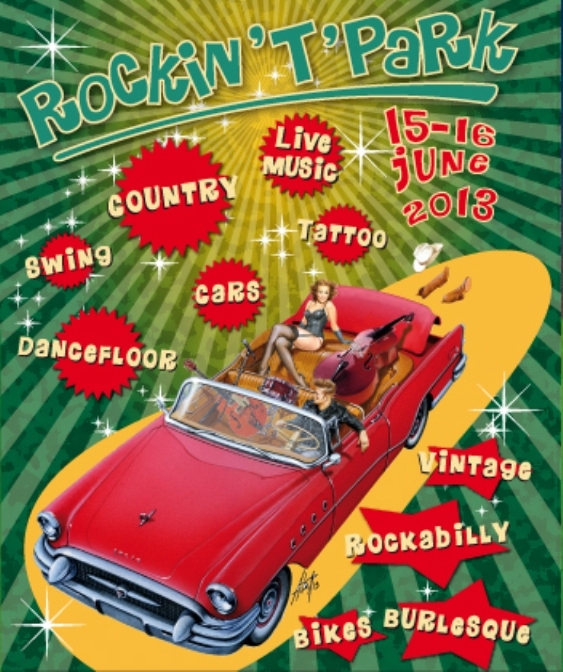 The first Vintage Festival Expo "Rockin'T'Park" in Milano, nearby Linate Airport, at the Exhibitions Center of Novegro next 15-16 June 2013. A reunion of the best in Rock'n Roll, Jazz, Country Western styles, and the new Rétro-Rockabilly culture. A special importance will be given to the American legendary "Old Times". A wide Vintage Market (Pavillion "C" Vintage & Burlesque areas) will display period fashion, accessories, one-of-a kind objects, books, vynil records, modernist interior furniture, designs, collectable bikes, old toys, vintage guitars and other instruments. 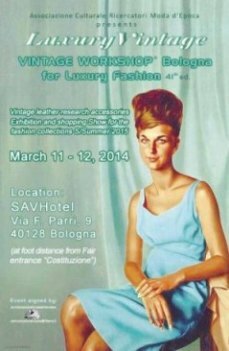 The Italian archives "Sculpures to Wear" owned by Angela Eupani will take part with a wide range of american and European purses, especially focused on the Forties/Fifties/Sixties. In the same stand you will find a special corner dedicated to "Corama" fine Vintage jewellery (handcrafted in the '60s and '70's) and the new rétro collection of clutches signed "The Scarf turns into a Bag" by Ida Maria Esposito, handmade with original signed scarves...Not to miss this absolute premiére!! 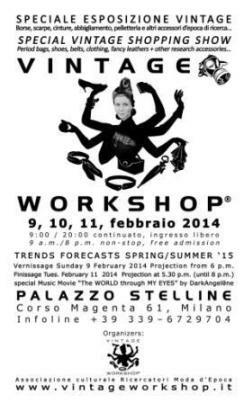 Free mini-workshops on new-burlesque and boogie-woogie / jive / blue grass and country dances will be offered mornings and afternoons non-stop as well as dancefloor lessons, Vintage look tutorials, oldtimer hair styles and make-up sessions will be performed by professional look makers. Baby sitting and children friendly games entertainment available. Evening Swing, Jazz, Country, Rock'n Roll live concerts as well as specialty "revival" old timer DJ sets and dancefloor. In the Western pavillion "D" areas: mechanical bull, mini rodeo, pole bending, horse riding ability, country ball performances and freee lessons. In the Swing area pavillion "C": public dance floor, Rock'n'Roll, Balboa Dance, Lindy Hop, Swing, Boogie-Woogie, Jive dance and free lessons. Outdoor: vintage cars and motorbikes show and a large Drive In where vintage cars owners and groups will be able to watch at special vintage movies. Opening times: 10 am to 11 pm indoor, 10 am to midnight outdoor. Entrance: €8, reduced € 5, free for children up to 12 years.